Our all wrappers and coils are designed using plastic, fibers, papers, aluminum and other materials. 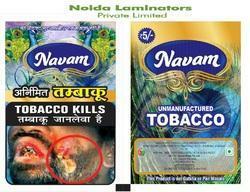 Furthermore, we offer our tobacco wrappers in varied logos and sizes to suit the diverse requirements of the clients. Our laminated wrappers and foils are widely appreciated for the properties like customized specification, leak proof, moist resistant and light weight.